Indonesian ride-hailing provider Go-Jek is working with six car rental firms ahead of its launch here in Singapore next month. Indonesian ride-hailing firm Go-Jek has roped in half a dozen car rental firms to supply vehicles and sign on drivers in preparation for a Singapore launch set for next month. The Straits Times understands that the Grab rival - whose investors include state investment firm Temasek and Internet giant Google - will enter the market solo. Previously, the Jakarta app start-up was in talks with local taxi giant ComfortDelGro to explore a tie-up. 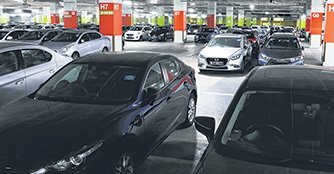 The latter had earlier entered into an agreement to buy 12,500 cars from Uber's Lion City Rentals - a deal, which was terminated after Uber's exit from the Singapore market early this year. According to industry sources, six rental firms have been invited by Go-Jek to sign up private-hire drivers and supply vehicles to those who do not have their own. 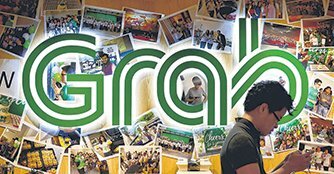 Following the Competition and Consumer Commission of Singapore's (CCCS) non-exclusivity clause for private-hire players, Go-Jek is also free to contact the estimated 70,000 drivers who are using the Grab app. Go-Jek has not been available for comment, but sources said the newcomer is expected to offer sweeteners to win over drivers and customers. "We hear that they will not charge any commission, at least initially," one said. The rental firms working with Go-Jek refused to comment, citing non-disclosure agreements. Observers said the firm had timed its entry so that it would be after the CCCS verdict on Grab's acquisition of Uber's South-east Asia operation. Go-Jek was founded in 2010 by Indonesian Nadiem Makarim, who - like Grab Co-founders Anthony Tan and Tan Hooi Ling - attended Harvard Business School. The commission ruled last month that the acquisition was anti-competitive, and fined Grab and Uber a total of $13 million. Immediately after the verdict was announced, Go-Jek issued a statement saying, "We are now confident that Singapore will have a robust, efficient and competitive market, and that our arrival will have a significantly positive impact on the lives of people in Singapore." It added that the CCCS' verdict had removed a 'very high barrier to entry'. Like Grab, Go-Jek will adopt an asset-light strategy in Singapore - hence its move to rope in rental firms. Go-Jek, whose app in Indonesia extends to food delivery and massage services, is likely to offer more than ride-hailing services here. Consumers are looking forward to Go-Jek's entry. Commuter Anthony Ng said, "It is a very good thing. More competition means more choices for consumers." The 68-year old retiree added that there have been times when he could not get a ride despite several attempts. Former Grab driver Elliot Lin said Go-Jek's arrival will be welcomed by drivers who are unhappy with Grab. "I am sure many drivers are waiting to jump ship," the 33-year old property agent said.